One of the names synonymous with classic arcade games is Williams’ 1982 hit Joust. I absolutely loved Joust when I was a kid. I was young enough that I didn’t quite know what I was doing, but I really enjoyed just bouncing around as a knight riding a giant bird, and even at that young age I could really appreciate the physics system in the game. It wasn’t until years later that I actually sat down and understood the mechanics behind Joust, and my love for the game just grew. It really is one of my all-time favorites. On the iOS platform, there have been a handful of Joust-y experiences over the years, but most have been far inferior to the original. You can actually play a legit emulated version of the original Joust through the Midway Arcade ($0.99) app, but the touch controls aren’t great and it feels best served as a quick dose of nostalgia rather than something I want to actively play all the time. Developer Jeff Molofee also loved Joust as a kid, and after Apple announced their new Swift language at WWDC this past June he decided he would make an homage to Joust (and the somewhat similar but far less famous Sir Lancelot) for the iOS platform using Apple’s new programing language. The result is Lord of the Skies ($0.99), which released on the App Store late last week. 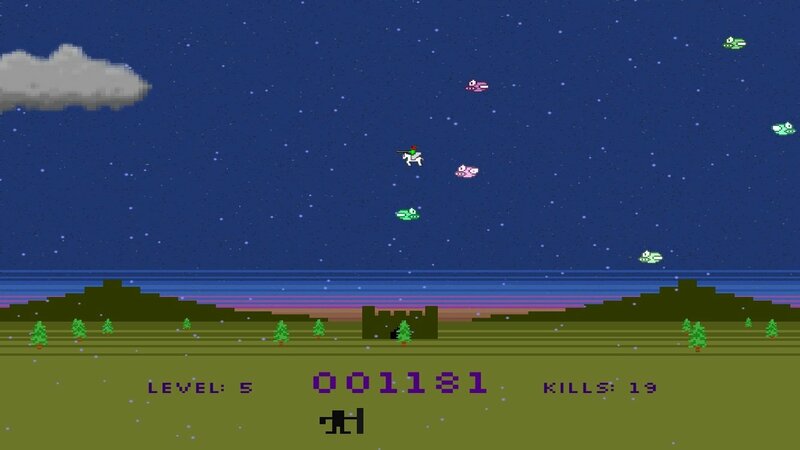 Now, just to set expectations appropriately, Lord of the Skies is an extremely simple game, so if a breezy arcade experience doesn’t sound interesting to you then it probably won’t be your cup of tea. That said, I’m really surprised with just how much I am enjoying playing Lord of the Skies. It perfectly captured that bouncy physics fun that I loved so much about the original Joust, and more importantly it feels built for the iOS platform rather than the shoehorned feeling of the Midway Arcade version of Joust. Controls are super-simple: Tap the left of the screen to flap upwards in that direction, tap the right side to flap to the right. That’s all there is to it. In a subtle homage to Flappy Bird and the flapping mechanic used in the game, your goal is to bounce your knight character off of very familiar-looking birds flying at various heights in the sky. There are several types of birds too, including ones that disappear and reappear, some that take more than one hit to dispatch, birds with random movement patterns and more. For such a simple game, there’s actually quite a bit of strategy involved. Once you clear one screen of birds, you move on to the next, and the game features several different kinds of environments and even some weather effects, which includes clouds that the birds can hide behind. 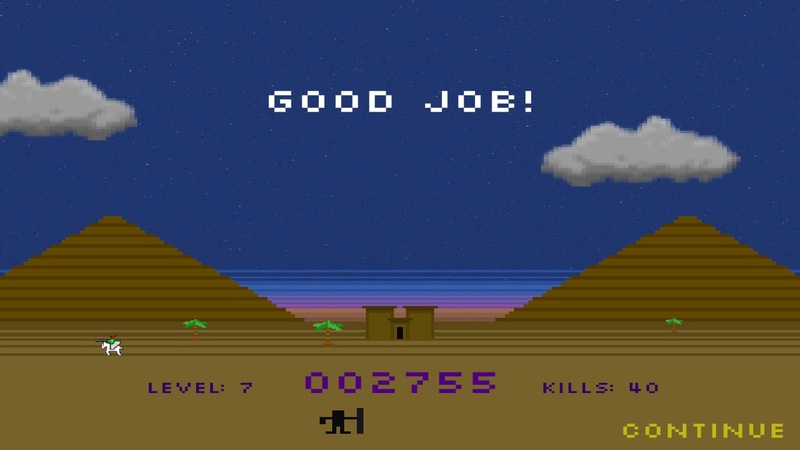 Like I said, Lord of the Skies is a simple game, but it’s surprisingly fun and challenging. It feels like a perfect one-dollar mobile game. If you liked Joust back in the day or are just intrigued by the screens, check out Lord of the Skies and leave your own impressions in the forums.